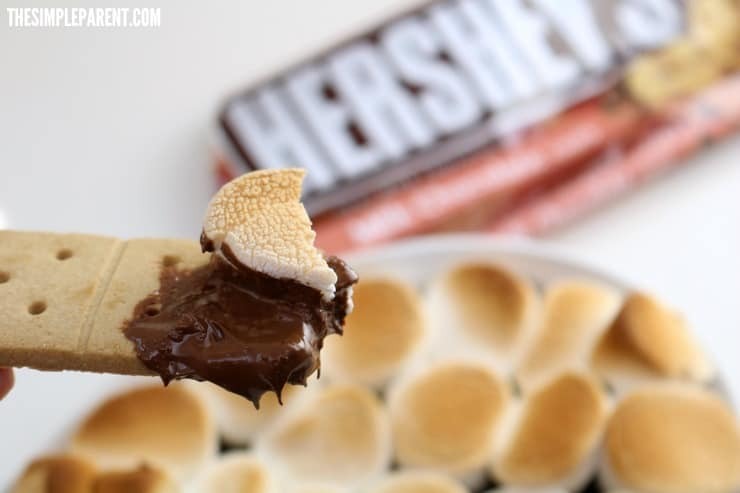 Our Easy Smores Dip Recipe is sponsored by Hello Happy, Hello Hershey’s as a part of an Ambassador Activation for Influence Central. 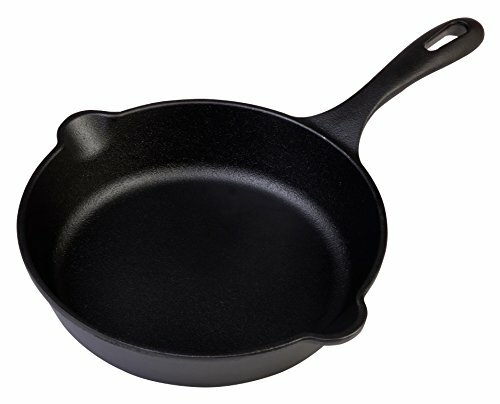 The whole experience is ours but it was so sweet and easy to throw together that we just had to share! As a work-at-home mom, I split my time between working and caring for the kids. The days are busy but I do my best to do something together every day. Getting into the kitchen to make an easy Smores Dip recipe is one of the things that always makes us smile. It’s definitely a happy moment for us! The time you spend together doesn’t have to be complicated or elaborate. The most simple things with some favorite flavors can lead to plenty of smiles and some great memories. 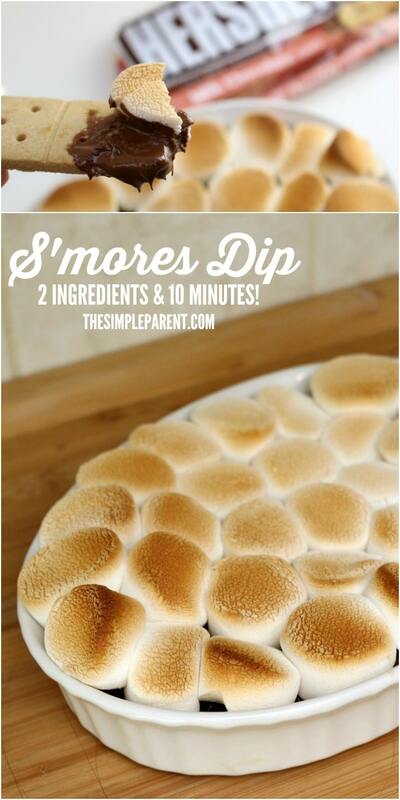 This easy smore dip recipe is the perfect example of that! We’ve included some affiliate links for some ingredients for this recipe for smores dip to help you too! 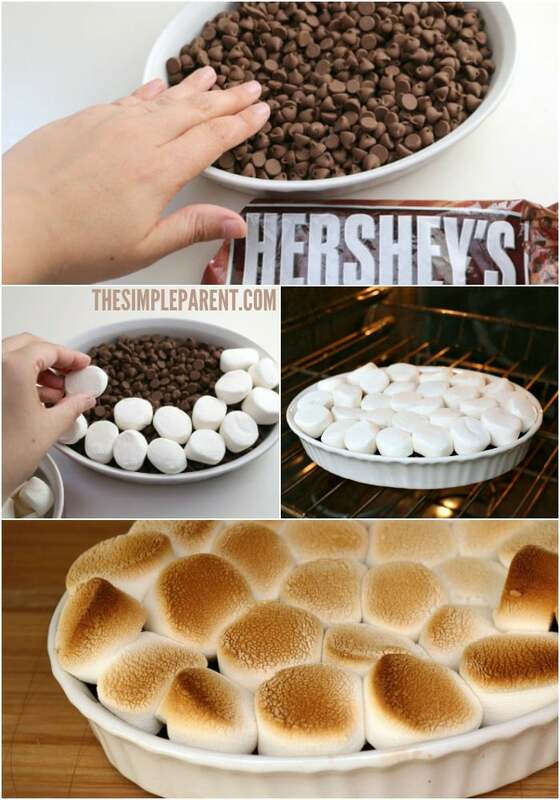 Pour a layer of HERSHEY’S chocolate chips into a baking dish. 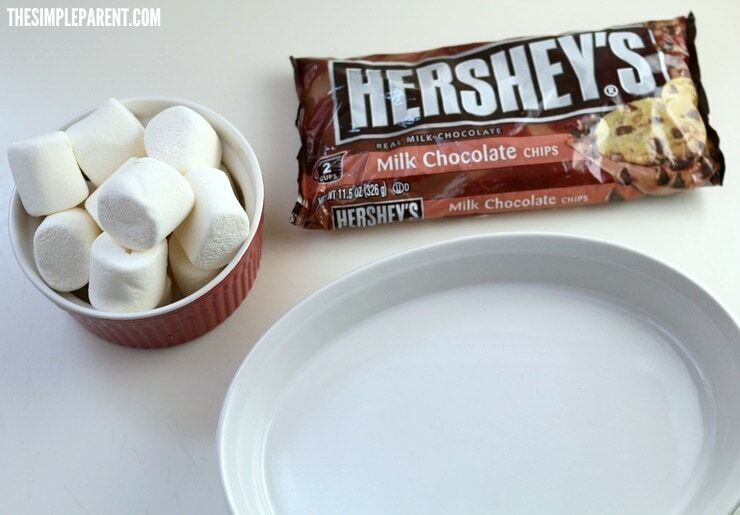 Cut the large marshmallows in half and cover chocolate chips with them. 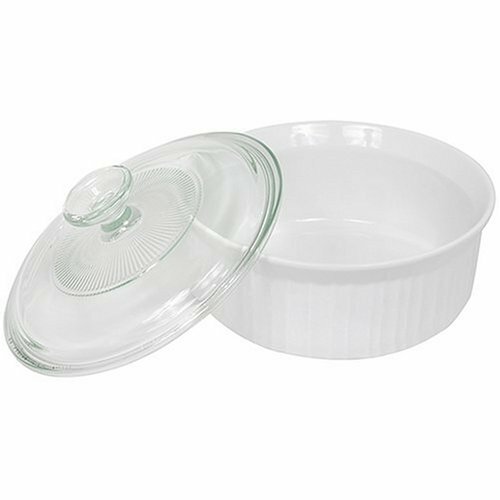 Place dish into oven for 8-10 minutes (or until marshmallows are are toasted on top). 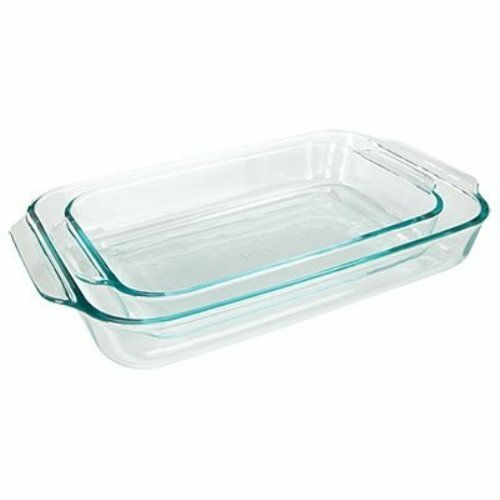 Remove from oven and serve with graham crackers. Dip away and enjoy this smore dip recipe! The kids and I made it together and had a blast pretending we were sitting around a campfire in the woods. What a happy moment! If you’re a fan of easy Smore Dip, you might like our other Smores recipes too! There’s really nothing like seeing my kids smile. I know I’m not the only parent who feels this way. So next time you want a chocolate fix (and your daughter demands marshmallows), pull out our recipe for Smores Dip and have some fun in the kitchen together! 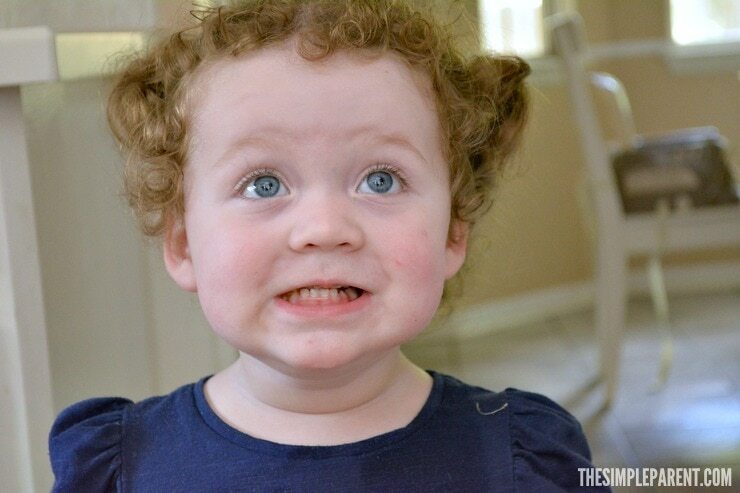 Carrigan approved of our easy Smores Dip recipe and wanted to know when we were going to make it again! « Mexican Pasta Bake is Easy to Make!